In the remanufacturing and rebuilding processes, cleaning the parts after disassembly is one of the most important steps. 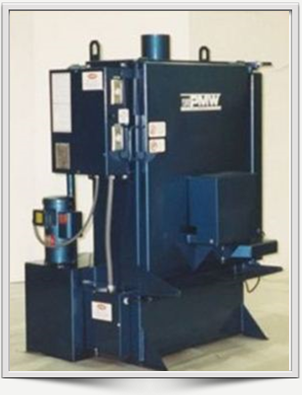 Having clean parts in a remanufactured engine or transmission decreases dynamometer failures and allows the parts to operate as though they were new. 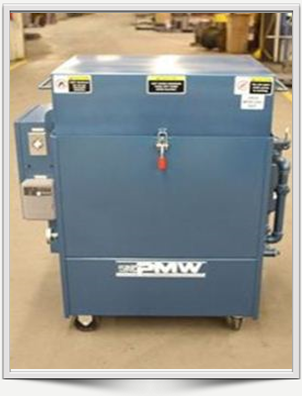 Using automatic parts washing equipment like a spray cabinet from PMW will save on energy and labor costs, as well as yield an exponentially cleaner part. 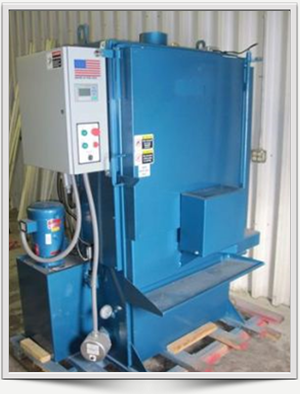 There are many ways to wash a part, and there is a washer for every process. 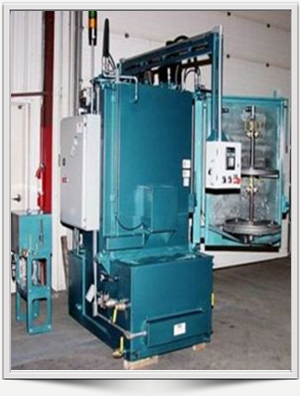 We offer solvent-based cleaners, aqueous-based cleaners, blast systems and others. 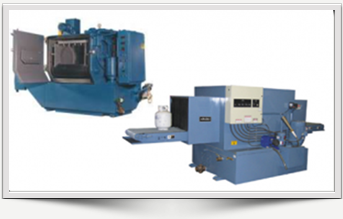 Precision Metal Works (PMW) is a brand of automatic parts washers that represents the highest quality in the industry. Their expertise lies in creating custom cleaning solutions to meet ANY cleaning need. 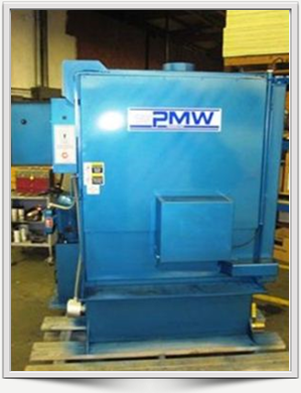 A parts washer from PMW is designed FROM THE START to accommodate your specifications and your parts. 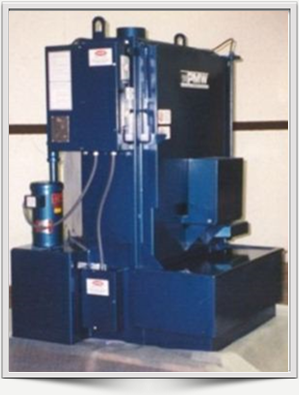 PMW models will improve part cleanliness while using detergent efficiently, and these machines are MADE TO LAST. 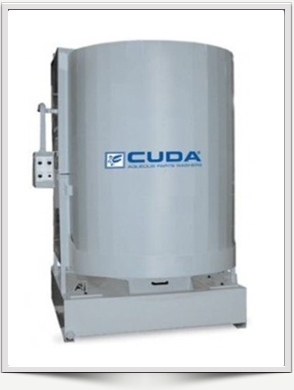 Cuda Aqueous Parts Washers are sturdy, efficient machines aimed at saving time and money. 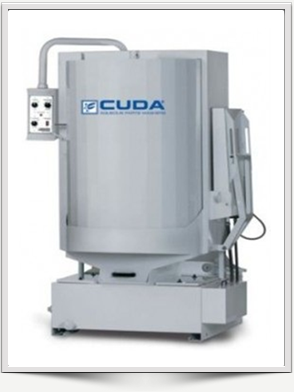 By eliminating the use of solvents and manual parts scrubbing, Cuda will save money on billable hours while freeing up technicians to concentrate on more productive business improvement activities. 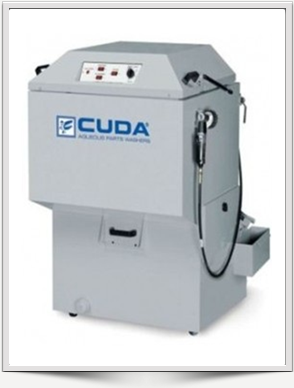 These work horses will effectively clean parts in a matter of minutes, and are perfect if your shop is on a budget. 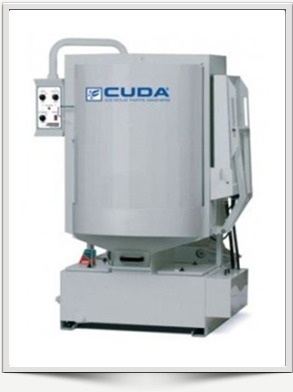 Their wide variety of Top-Load and Front-Load models accommodate any and every application. 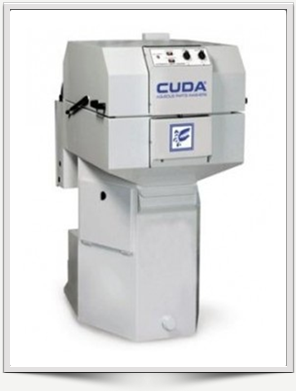 The newest addition to the Cuda top load line-up, the SJ-15 uses a patented spray wash technology which eliminates the need for a drive motor, gears and pulleys. Using a water-propelled spray arm with 23 nozzles that spin around a stationary parts basket, parts are hit from every angle while being cleaned. 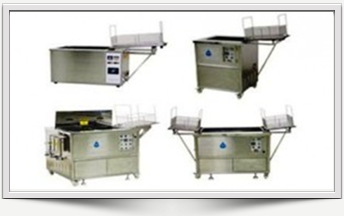 These Aqueous Parts Washers are Excellent, Economical machines to augment or overhaul your Cleaning Process. These Spray Cabinets are perfect for Aqueous Cleaning and will optimize the use of our TRANSBRITE Detergents to improve your cleanliness standards. 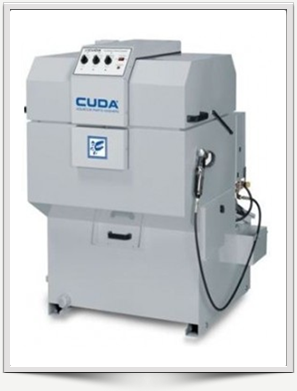 Each washer boasts a 14 Nozzle configuration, a 12 Gallon Capacity and a 3 HP Pump with a 70 GPM output at 50 PSI. 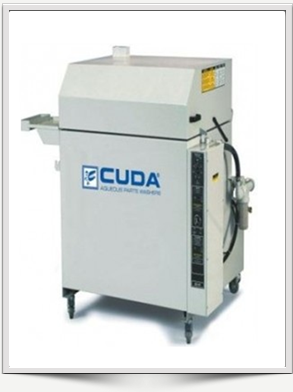 Ultrasonic cleaning is the most precise, thorough, effective cleaning methods. 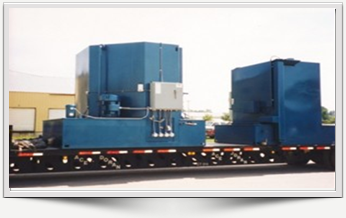 This process utilizes ultrasound (high frequency sound waves) to agitate in a liquid/solvent to thoroughly remove soils THROUGHOUT a part. 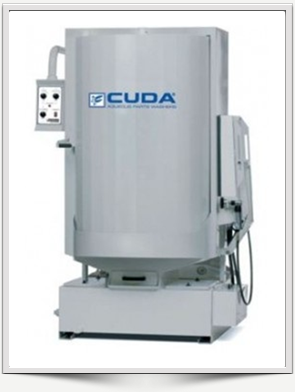 Pro Ultrasonics provides equipment that will clean IMPOSSIBLE to reach areas of a part. 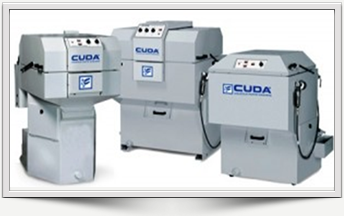 These efficient machines provide the most effective cleaning solution on the market. This line of washers is at the forefront of a new era of parts cleaning. Try out Pro Ultrasonics and see the results! Ultrasonic Power: 2400 watts peak / 1200 watts avg. Ultrasonic Power: 3600 watts peak / 1800 watts avg. Ultrasonic Power: 10,800 watts peak / 5400 watts avg. Ultrasonic Power: 7200 watts peak / 3600 watts avg.